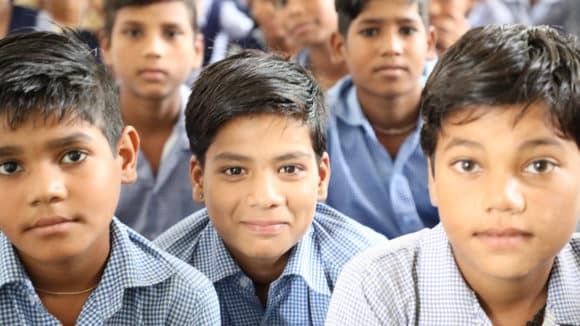 All that Jatin Shah’s classmates had to do to stay abreast was to visit a library. But Jatin had to wait for 20 days. Being visually impaired, he first had to get a book from the library in Pune’s Symbiosis Institute, then send it to Xavier’s Resource Centre for the Visually Challenged, Mumbai, where it would be scanned and sent to him. Jatin had no option but to repeat this tedious process for all his reference material. Accessing books is not a simple task for people who are visually impaired. After getting hold of a book, they have to convert it into an accessible format—audio, e-book, Braille or large font. There were other obstacles, one of the biggest being the Copyright Act. The Act prevented anyone (other than the books’ publishers and authors) from reproducing the content. This included institutes working for the visually impaired, who were not allowed to reproduce content into accessible formats. But all this changed in May 2012, when the Copyright Act was finally amended after a long struggle. It started in 2006 when XRCVC wanted to convert a book into soft copy for its students. When the centre approached the publisher, he refused, citing the Copyright Act. Till then, they had not faced any difficulty in converting matter into accessible formats, but this technical clause proved to be a hindrance. “Thereafter started the process of getting the Copyright Act amendment,” says Dr Sam Taraporevala, director of XRCVC. The centre, along with Sightsavers, an international organisation working for the rights of the blind, started ‘Project Access’. It was an advocacy-based project requiring coordination among various entities, as well as creation of awareness among the lawmakers. After many delays, their draft of the amendment was accepted by Parliament and the amendment was passed. “Today we don’t need to obtain the publishers’ permission before converting the books into accessible formats,” says Taraporewala. 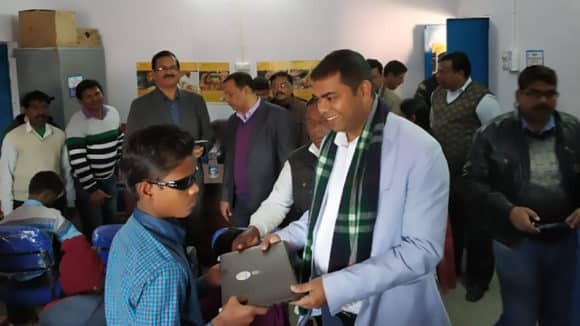 “Any visually challenged person can now convert, modify and share content with other bona fide visually challenged individuals.” The impact of this work is immense: textbooks, manuals, documents produced in India will be available for conversion. The centre, located at St. Xavier’s College, Mumbai, contains an exhaustive array of equipment to assist the visually impaired—like screen readers, magnifiers, OCR systems, Braille production systems and low vision aids. And this copyright amendment gives them a further boost. The work of Project Access does not stop at legislation or print. The attempt is to build a social climate where the visually challenged are not deprived. So when 16-year-old Sangita (named changed on request), who wanted to pursue science in higher secondary, was denied admission due to her disability, XRCVC came to her help. The college had denied her admission on the pretext that she could not perform the practical, but Sangita did not want to give up her dream of becoming a physiotherapist. She was ready to put up a fight. Finally, thanks to XRCVC’s advocacy, the Maharashtra State Board of Secondary and Higher Secondary Education agreed to issue special guidelines for examining visually handicapped students for practicals. True to her dream, Sangita is now pursuing physiotherapy at a Mumbai college. Project Access also worked to make financial services accessible to the visually challenged. 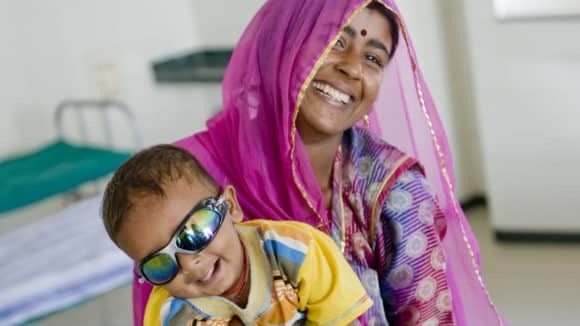 “The blind are treated as illiterate and not allowed to open independent accounts or use ATM and credit cards,” says Ketan Kothari, programme development adviser, Sightsavers. “This despite the fact that many visually challenged persons are highly educated and are working as journalists and bankers.” Even Kothari, in spite of his MA and MBA qualifications, could not open an independent account due to the Reserve Bank of India guidelines. After the intervention of XRCVC and Sightsavers, the RBI framed new guidelines for accessibility that state banking rights for the disabled are at par with other citizens. They also managed to get banks to discuss accessible banking since the visually impaired will be using them. 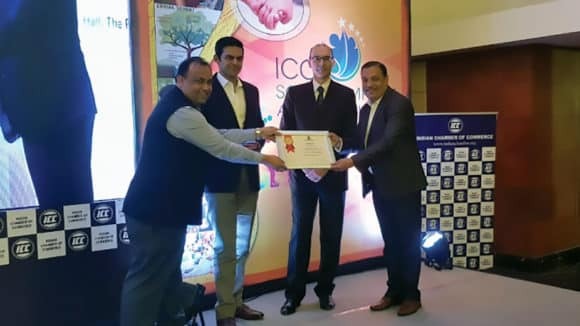 Union Bank of India and Standard Chartered Bank have already deployed accessible ATMs that give audio cues and have Braille keypads in certain locations in Mumbai and there are plans to have more than 2,000 accessible ATMs across the country. The change is already making a difference. Tilak Joshi, 21, has started using the Union Bank ATM close to his home in Thane. “It gives me a feeling of self-confidence,” he says, adding that the bank gave him the ATM card only after he showed them the new guidelines. 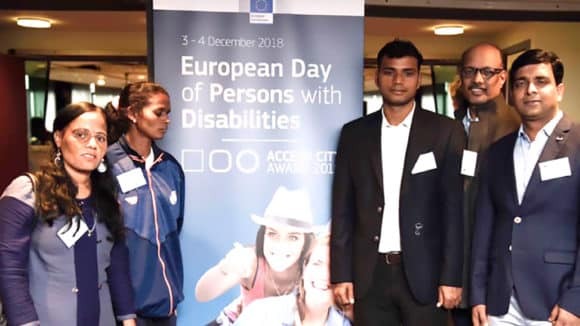 Project Access has been successful, but there is a lot to be done in making the world more inclusive for the visually handicapped. “We are working towards making mainstream consumer durables more accessible to the blind and we are trying to sensitise designers,” says Taraporevala. He says while most smartphones come with built-in features friendly to the blind, that is not the case in most everyday objects. Currently, Sightsavers and XRCVC are working to make Indian Railways more user friendly for the visually challenged. In what is called a book famine, even in 2012, only seven per cent of published books were made in formats accessible to the visually impaired in the richest countries, and less than one per cent in developing countries. DAISY (Digital Accessible Information System) Forum of India is a forum of non-profit organisations involved in the production of books and reading materials in accessible formats. In the DAISY format, a single-source document can be converted into an audio book, large print book and e-book in next to no time.